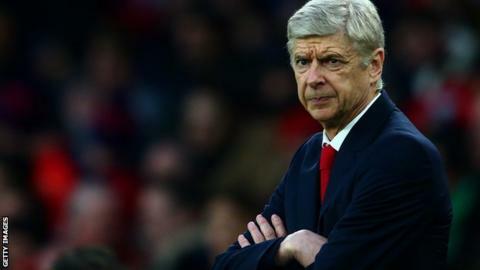 Arsenal manager Arsene Wenger says the first £100m transfer will soon be "easy to reach"
Arsenal boss Arsene Wenger believes extra television revenue for Premier League clubs will be used to buy players rather than cut ticket prices. But Wenger says clubs will need that additional cash to meet the rising cost of transfer fees and player wages. "What will happen is the prices of the players will go up and you will need this supplement of money coming in to buy new players," he said. Wenger said the vast amount of money now being spent on players in China was evidence the Premier League could fall behind if it does not continue to bring in new talent. £38m on Liverpool target Alex Teixeira. Wenger says the new trend of spending in the Far East could be a concern and drive up the cost of players across the globe. He added the first £100m transfer will soon be "easy to reach". Gareth Bale's £85m move from Tottenham to Real Madrid in September 2013 remains the record. Asked if the amount Chinese clubs are able to spend on transfers is a worry to the Premier League, the Frenchman replied: "Yes, of course. "China looks to have the financial power to move the whole league of Europe to China." But he added: "Will they sustain their desire to do it? Let's remember, Japan started to do it a few years ago but slowed down. "I don't know how deep the desire in China is, but if there's a very strong political desire, we should worry." On Thursday, Premier League clubs failed to pass a proposal to cap the price of tickets for away fans, as a secret ballot fell short of the required 14 votes in favour. The Football Supporters' Federation (FSF), an organisation representing the interests of fans, criticised the result. "Football supporters are right to be angry about the Premier League clubs' apparent reluctance to tackle the problem of ticket prices," said the FSF in a statement. "Despite clubs failing to agree a way forward yesterday, this issue will not go away and fans will continue to fight for fair ticket prices. "We understand that the Premier League will be working with clubs over the coming weeks to find a way forward. That must result in meaningful action on away prices at the next shareholders' meeting at the end of March."